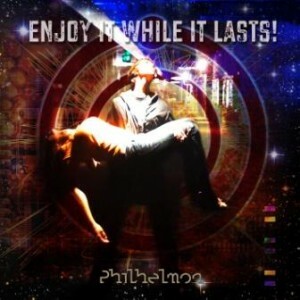 Enjoy it While It Lasts is half kitsch-tastic progressive-pop rock masterpiece, and half philosophical musing. Riddled with bombastic harmonies, searing guitar, and virtuostic synths, the "virtual band" Philhelmon consists of an international cast of musicians masterminded by Henk Bol of the Netherlands. Recorded over the course of 2011-12 in multiple studios around the world, this richly textured album is a smorgasboard of both retro and current influences that make up an extremely well balanced concept album. Officially released in 2012. Go here to purchase!